The New York Giants figure to be in the market for a new quarterback since Eli Manning is 38 years old, but don't expect them to use the No. 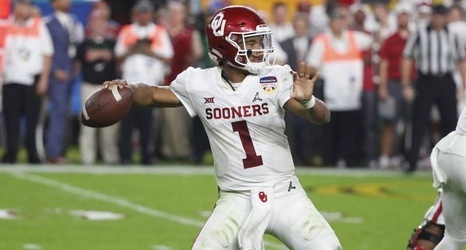 6 overall pick in the 2019 NFL draft on Oklahoma's Kyler Murray. A Giants source told Ralph Vacchiano of SNY that Murray was "probably a little too small" for the team even though they have not yet seen the reigning Heisman Trophy winner at the NFL Scouting Combine or his pro day. Murray is listed at 5'10" and 195 pounds on Oklahoma's official roster.